Easter is a special time for us at Trabolgan Holiday Village, with our site looking its best and lots of excited, chocolate-fueled children running around. We’ve got a great entertainment programme with special activities to ensure you have a wonderful time, and you can enjoy relaxing with the family in your luxury self-catering accommodation. Crafting with children is an excellent way to embrace festivals and events throughout the year, and we’ve come up with some Easter craft ideas you’ll love. Try out some of these and let us know how it goes, and please share your own ideas with us, as well. • Painting eggs. Painting eggs is a fun craft idea for children of all ages, and you can use hard boiled eggs for young children or blow eggs for older ones so that they last longer. Try out different designs and ideas, and see who can come up with the most creative decorated egg scene! • Easter cards. There are hundreds of Easter card design ideas online, and you can pick a simple pop up design or let your children loose with the poster paint and glue. Think chicks, lambs and daffodils, and let their imaginations run riot as they create beautiful cards for your family and friends. • Easter baskets. 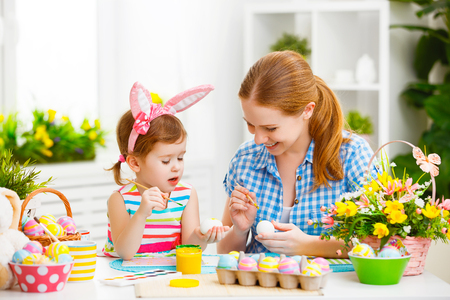 Making an Easter basket to collect eggs in is an exciting crafty activity for children and you can make it age appropriate by having little ones decorate readymade card baskets while older ones make their own. • Easter bonnets. An Easter bonnet competition is a staple Easter activity in many schools and churches, and your little ones will love to join in with the fun by making their own seasonal bonnets. Adapt an existing hat or fashion your own with card and other craft materials, and you’ll be sure to have fun creating a must-have Easter accessory. • Make paper flowers. The world around us is celebrating the gorgeous colours of Spring, and this can be great inspiration to create your own paper bouquet that will last forever. Explore origami flower designs and try different papers and colours to make a bunch of flowers to decorate your house all year! 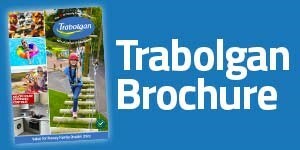 Trabolgan Holiday Village is a wonderful destination for a family holiday in Ireland, and we’ve updated our luxurious self-catering accommodation this year. We have sporting activities and entertainment for the whole family, and our subtropical swimming paradise is perfect for adults and children alike. We’re on hand to help you to plan your family break, so book your holiday today by calling our reservations team on +353 (0) 21 4661551 or visit us online now.